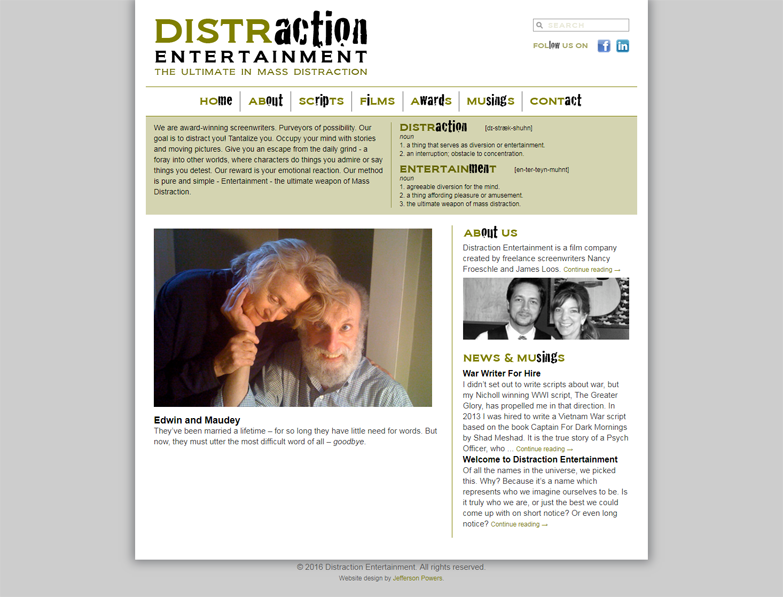 This was a brand new website for Distraction Entertainment, a film production company. They had an idea for the typography, that smaller words would burst out of the website page titles. They also wanted to use dictionary definitions as a design motif. I refined those ideas and put together a page layout that would confer a fair amount of information without overwhelming the viewer. 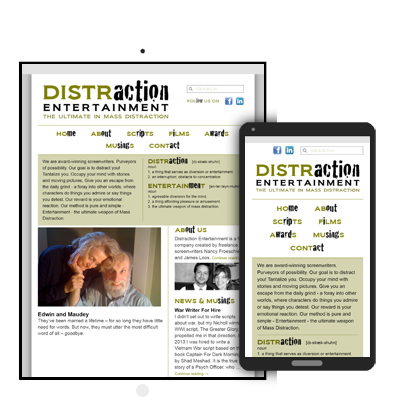 I also consulted with the client on the content and organization of the site, advising on written content and image selection.